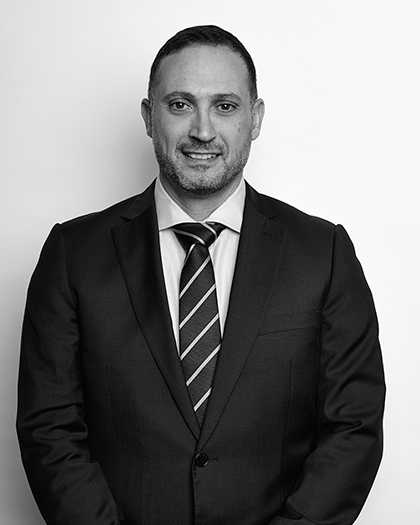 John Chidiac holds a Bachelor of Law degree from the University of Technology, Sydney. He graduated in 1997 and was admitted to legal practice in 1998. He began his legal career in insurance litigation for various insurance companies such as AMP, GIO, NRMA and Mercantile Mutual Limited. John is experienced in a range of complex insurance litigation including workers compensation, motor vehicle accidents, work injury damages, and public liability claims. After he established Sanford Legal, John went on to develop the firm’s base in insurance litigation. John now uses the knowledge he gained in insurance company representation to act on behalf of injured people and help them win the maximum amount of compensation. He is a highly respected insurance litigator. John has worked on many complex compensation cases that have progressed through the Supreme Court and High Court of Australia and have become precedent law. John also has a particular interest in superannuation claims including total and permanent disablement and income protection claims against industry superannuation funds such as Australian Super, AMP, CBUS and REST. John has also been successful in advising clients against numerous defective building works against developers and builders that result under contract and tort. John has conducted complex litigation before courts at all levels in Australia including the Local Court, District Court, Supreme Court, High Court and various tribunals. John also speaks fluent Arabic.